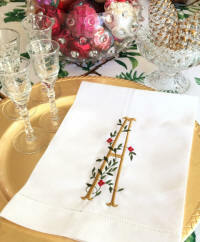 Christmas wreath and gold initial embroidered on a linen guest towel. Guest towel measures 14" x 22". 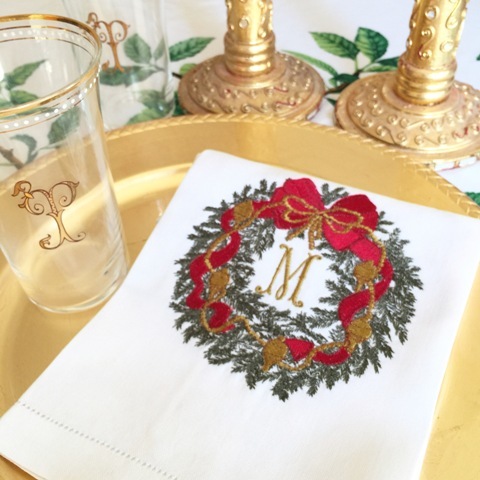 Perfect for the upcoming Christmas Holiday or as a Christmas Holiday hostess gift! One of our favorites and a best seller!